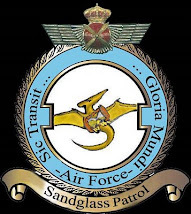 La Guardia Civil, ha presentado en la mañana de hoy en el Aeropuerto Adolfo Suarez- Madrid Barajas, la creación del “Equipo Pegaso”, encargados del control de aeronaves pilotadas por control remoto (drones). De forma proactiva, en el año 2015, y en previsión de posibles incidentes, la Guardia Civil a través de la Unidad Fiscal y Aeroportuaria de la Comandancia de Madrid destinó una serie de recursos humanos y materiales al estudio del uso y control de este tipo de aeronaves que empezaban a proliferar. Shape shifting VO from University of Colorado Boulder on Vimeo. Additional co-authors of the study include Alina Martinez, Marvin Alim, Kimberly Childress, Michael Beiswinger, Maciej Podgorski and Brady Worrell of CU Boulder and Lewis Cox and Jason Killgore of the National Institute of Standards and Technology (NIST). The National Science Foundation provided funding for the research. LOS ANGELES, Aug. 28, 2018 (GLOBE NEWSWIRE) -- Aerojet Rocketdyne successfully completed its early systems integration test for NASA’s Advanced Electric Propulsion System (AEPS) program, a next-generation propulsion capability that will further enable deep space missions. Under the AEPS contract, Aerojet Rocketdyne will develop and qualify a 13-kilowatt Hall thruster string for NASA, bolstering future exploration missions, as well as commercial space endeavors. SINGAPORE, -- Boeing [NYSE: BA] reports that the Asia Pacific region will have the greatest global demand for new civil aviation personnel over the next 20 years. The region is projected to account for 33 percent of the global need for pilots, 34 percent for technicians and 36 percent for cabin crew. For more information about Boeing's commercial training products and services, please visit: http://www.boeing.com/commercial/services/training-and-resourcing/. - An experiment titled “Marshmallows in Space,” developed by the Oregon Museum of Science & Discovery to teach the scientific process to preschoolers. 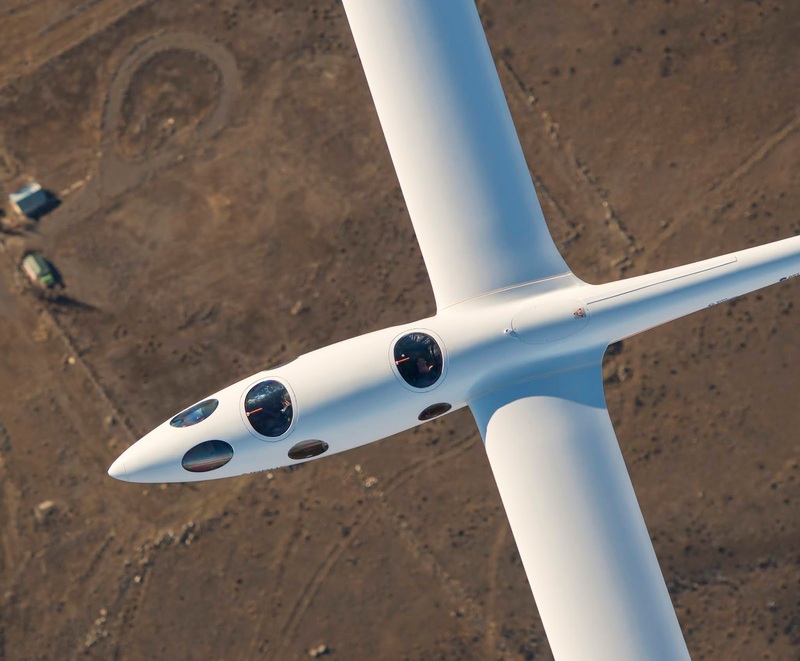 - Two new environmental sensors, developed by The Perlan Project. 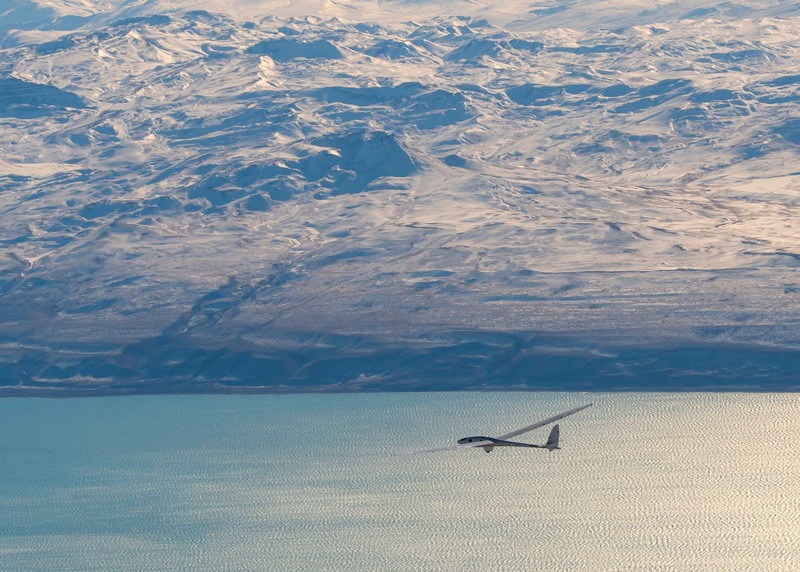 Tune in to live flights of the Perlan 2 on the Airbus Perlan Mission II Virtual Cockpit at http://bit.ly/VirtualPerlan2. 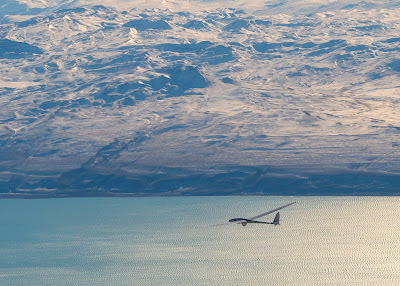 Stay updated on flight schedules by following The Perlan Project on Twitter @PerlanProject and on Facebook at www.facebook.com/perlanproject. Australian-developed on-board command and control system automatically perceives, processes and reacts in coordination with other unmanned vehicles. 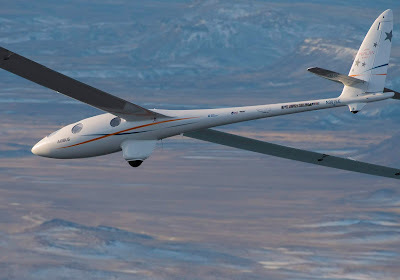 BRISBANE, Australia Aug. 17, 2018 — Boeing [NYSE: BA] has successfully completed the first suite of synchronised unmanned aerial vehicle (UAV) flight tests using new on-board autonomous command and control technology developed by Boeing in Australia. 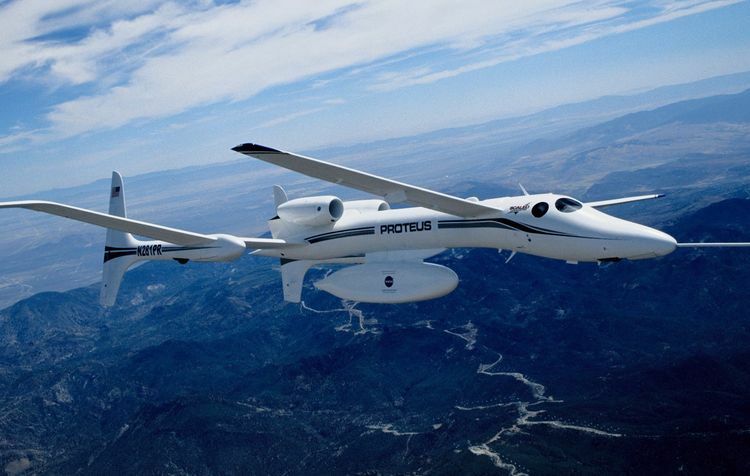 For 100 years, Boeing has led manned and unmanned technology innovation and integration from sea to air to space. Visit www.boeing.com for more information. Follow Boeing Australia on Twitter: @BoeingAustralia. Kourou, 22/08/2018 - Aeolus, the European Space Agency’s wind sensing satellite, built by Airbus, has been successfully launched from Kourou, French Guiana. The satellite will now undergo a series of tests in its operational orbit at 320km before beginning operations. Project Slowed Due To Complications, Wheels To Be Replaced The years-long restoration of a rare XP-82 Twin Mustang is inching closer to completion, with a goal of having an airworthy airplane at the end of the process. “The Norwegian government has tasked Avinor with developing a programme that paves the way for the introduction of electric aircraft in commercial aviation. It was a great experience to be part of this flight and witness the evolution of aviation,” says Norway’s Minister of Transport and Communications Ketil Solvik-Olsen. “At Avinor, we want to demonstrate that electric aircraft are already available on the market, as well as help make Norway a pioneer of electric aviation in the same way as the country has become a pioneer of electric cars,” says Avinor’s CEO Dag Falk-Petersen. “Along with energy saving measures, the ongoing modernisation of aircraft fleets and the introduction of sustainable biofuel, electric aircraft can help to reduce total greenhouse gas emissions from Norwegian aviation in the coming decades. As electric engines cost must less to operate than current engines, this will result in lower prices for flight tickets,” says CEO Falk-Petersen. Avinor and aviation industry partners are working to help Norway become a world leader in electric aviation. The objectives are for Norway to be the first country where electric aircraft account for a significant share of the market, and to electrify Norwegian domestic aviation by 2040. 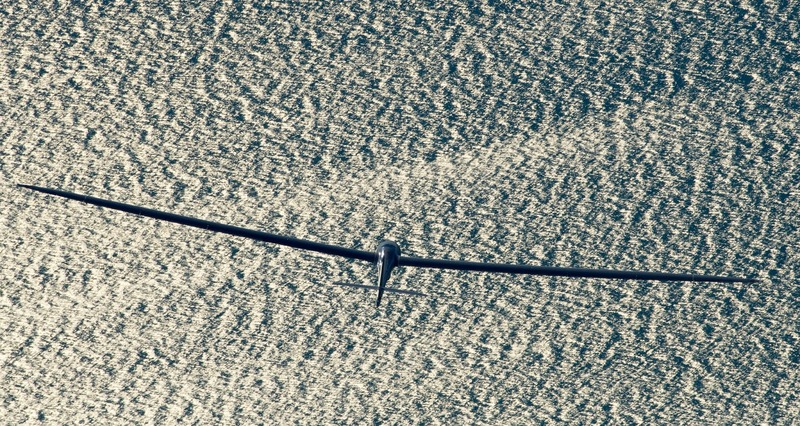 The project is supported by the government, and the project partners are Widerøe, SAS, the Norwegian Association of Air Sports, and climate foundation ZERO. “We’d especially like to thank the Norwegian Association of Air Sports in connection with this flight. 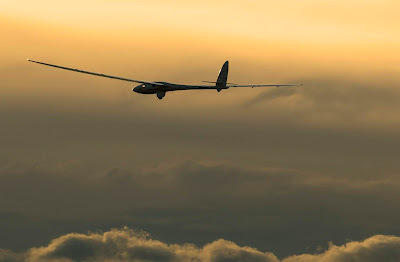 The association has gone to great lengths and played a vital role in preparations for the flight,” says Falk-Petersen. 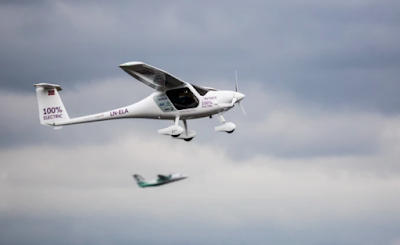 Avinor does not intend to charge landing fees for electric-powered light aircraft and will allow them to recharge at no cost until 2025. The government has asked Avinor to develop a programme for the introduction of electric aircraft. This will involve an evaluation of the various tools required to make the electrification of passenger aviation a success. In addition, Avinor will consider other key consequences, including possible conflicts between objectives, consequences for the climate and environment, and the effect on competition in Norwegian aviation. With its vast mountainous regions and huge distances between towns and cities, Norway depends on an efficient aviation sector. The country has many airports spread the length and breadth of the country. This results in sometimes short flights with relatively few passengers. “The Norwegian short-leg domestic network is ideal for trialling the first commercial electric-powered flights, which are expected to have a limited range and capacity,” says CEO Falk-Petersen. “There is also a great political willingness in Norway to establish a framework that promotes electrification in other transport sectors, such as road traffic and ferries. In addition, Norway’s capacity for renewable energy makes electrification particularly attractive from a climate perspective,” emphasises Falk-Petersen. The 300-pound wing section was removed from an F/A-18 at NASA Armstrong in Edwards, California, enabling the team to prove a full wing section could be folded using a newly developed nickel-titanium-hafnium high temperature SMA torque-tube actuator, capable of applying 5,000-inch-pounds of torque. Boeing [NYSE: BA] has successfully completed the first suite of synchronised unmanned aerial vehicle (UAV) flight tests using new on-board autonomous command and control technology developed by Boeing in Australia. Puntual, a las 15:56 h. y con 310 clientes a bordo, ha partido el avión “Paco de Lucía”, con matrícula EC-MYX, el segundo A350-900 de Iberia, rumbo a Londres. El vuelo IB3166 tiene prevista su llegada al aeropuerto londinense de Heathrow a las 17:20 h.
Desde hoy y hasta el 31 de agosto, este avión de nueva generación volará todos los días a Londres. Además del 27 al 31 de agosto, el “Paco de Lucía” operará un segundo vuelo de Madrid al aeropuerto de París Orly. El 1 de septiembre, este A350-900 se incorporará a la ruta Madrid-Nueva York, en la que ya opera el “Plácido Domingo”, el primer avión A350-900 que recibió la línea aérea. El A350 es un avión de nueva generación equipado con la última tecnología, que es más eficiente en cuanto a consumo de combustible y, por tanto, más respetuoso con el medio ambiente. Al mismo tiempo, ofrece más comodidad a los clientes: sus pasillos son más anchos, los maleteros cuentan con mayor capacidad, dispone de un sistema que renueva el aire de la cabina de pasajeros cada tres minutos y de ventanas panorámicas. Iberia ha emprendido un ambicioso plan para renovar su flota hasta 2021. 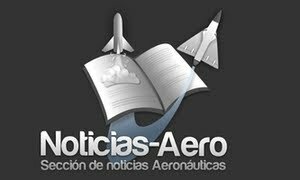 Desde 2011, ha pedido 56 aviones: ocho A330-300, 12 A330-200, 16 A350-900 y 20 A320Neo, de los cuales ya ha recibido 24. Al mismo tiempo, ha renovado por completo las cabinas de sus 17 A340-600. 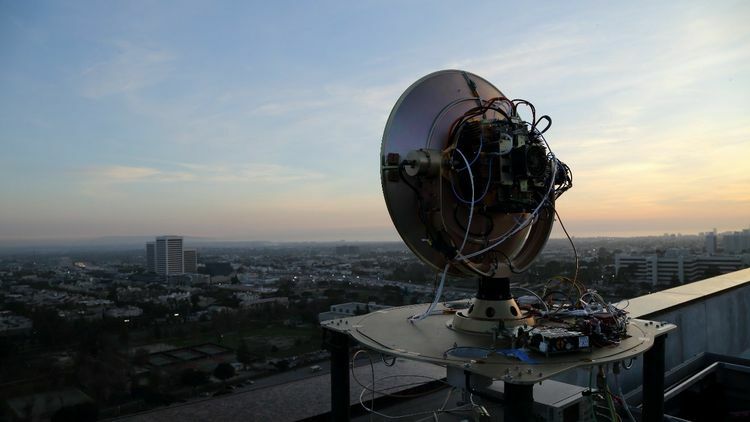 REDONDO BEACH, Calif. – Aug. 22, 2018 – Northrop Grumman Corporation (NYSE: NOC) and the Defense Advanced Research Projects Agency (DARPA) have set a new standard for wireless transmission by operating a data link at 100 gigabits per second (Gbps) over a distance of 20 kilometers in a city environment. BINGEN, Wash., August 21, 2018 – Insitu, a wholly-owned subsidiary of The Boeing Company has been helping firefighters on wildfires in Oregon, providing information for fire suppression activities via its data collection, analysis and delivery capabilities. Royal Navy aircraft carrier, HMS Queen Elizabeth, departs her home port of Portsmouth today, bound for the USA to land fast jets on deck for the very first time. 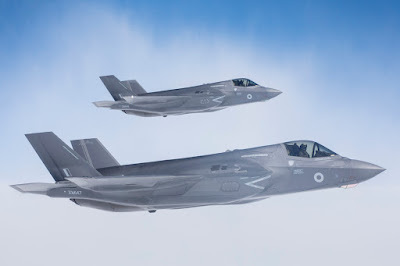 Eight years since a British aircraft carrier last flew a fast jet from her decks, the 65,000-tonne carrier will embark two F-35B test aircraft, from the Integrated Test Force (ITF), based out of Naval Air Station Patuxent River, Maryland. Around 200 supporting staff, including pilots, engineers, maintainers and data analysts will be joined by two ‘orange wired’ test aircraft, belonging to the ITF, which are expected to conduct 500 take offs and landings during their 11-week period at sea. HMS Queen Elizabeth is a true statement of our national power, and the whole country can be proud to see this magnificent symbol of our engineering prowess and international ambition leaving port to sail onto the world stage. Her voyage to America not only shows her global reach, but strengthens our special relationship with the US Forces who we have worked hand-in-hand with on this iconic programme. As she sails along the east coast of the USA, she will signal our determination to keep fighting alongside our allies in all corners of an ever more complex and uncertain world. The trials follow the recent arrival into the UK of the first joint Royal Navy, Royal Air Force F-35B jets, based at RAF Marham. ‘Operational testing’, utilising British F-35B aircraft are scheduled to take place on board HMS Queen Elizabeth next year. This deployment to the United States will be another first for my ship. Crossing a major ocean with 1500 sailors, aircrew and Marines embarked and the spectre of the first F-35B Lightning landing on the deck in September is very exciting for us all. It has been an incredible journey since we left Rosyth just over a year ago and we are all looking forward to this next, seminal chapter in HMS Queen Elizabeth’s life. HMS Queen Elizabeth departs for the USA to land fast jets on deck for the very first time. Crown copyright. As the ship’s work-up continues, so too does the regeneration of the UK’s Carrier Strike capability. Commander UK Carrier Strike Group (COMUKCSG), Cdre Andrew Betton, will take command of the ship and other units of his task group, embarking in HMS Queen Elizabeth with his Carrier Strike Group headquarters staff. As a critical step towards delivering the UK’s new Carrier Strike Group, this deployment demonstrates the astonishing collaborative effort that will enable the new F-35 jets to fly routinely from our Queen Elizabeth class aircraft carriers. At the heart of the Maritime Task Group, the aircraft carrier is well protected and sustained, ready to operate around the world as a potent and exceptionally flexible instrument of our foreign policy. These first F-35B embarked trials in a UK aircraft carrier are not only key to future operational success, but represent an iconic moment for the modern Royal Navy. The ship will conduct trials in UK waters over the coming days, before departing for the USA later this month. She will be joined by RFA Tiderace and Plymouth-based type-23 frigate HMS Monmouth, as well as Merlin Mk2 helicopters from 820 Naval Air Squadron, RNAS Culdrose, Mk 4 Merlins from 845 Naval Air Squadron, RNAS Yeovilton and a contingent of Royal Marines from 42 Commando, Plymouth. Wearable cockpits - the ultimate human-machine interface? All of them will blast their way to orbit after being dropped at altitude from a mother-ship plane — the largest aircraft ever built, with a wingspan of 385 feet (117 meters). Medium Launch Vehicle (MLV): payload capacity of 7,500 lbs. (3,400 kg). Medium Launch Vehicle - Heavy: payload 13,200 lbs. (6,000 kg). DENVER, Colorado – August 13, 2018 – Bye Aerospace, the developer of the “Sun Flyer” family of high-tech all-electric airplanes, announced a 30-aircraft order from a large Colorado-based training fleet partner, Aspen Flying Club. Aspen Flying Club, located near Bye Aerospace’s facilities at Centennial Airport, (KAPA), south of Denver, Colorado, has reserved 30 Sun Flyer 2 airplanes to use as trainers in its future fleet of aircraft. 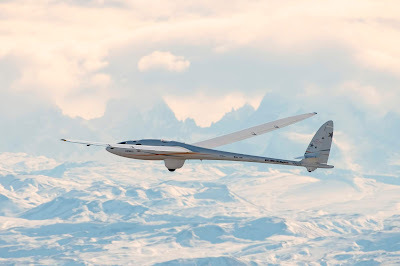 George Bye, CEO of Bye Aerospace, said the partnership with Aspen Flying Club is a key step in the process to integrate the benefits of electric aviation at Centennial Airport, currently the second-busiest general aviation airport in the country. “The FAA-certified Sun Flyer’s low emission and noise signatures, in addition to its lower operating costs compared to traditional flight trainers, will be a significant benefit,” he said. 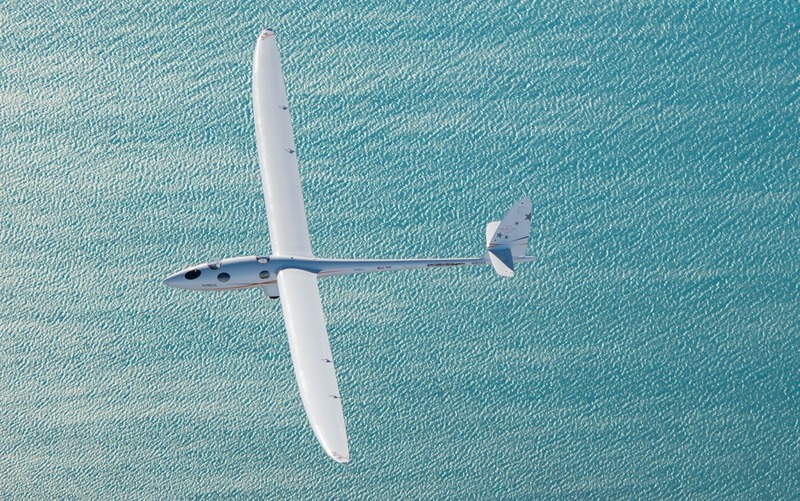 Other recent purchase deposits and reservations for Bye Aerospace’s Sun Flyer 2 and the four-seat “Sun Flyer 4” have been received from international customers in Norway, Israel, Hong Kong, New Zealand, British Columbia and Germany. 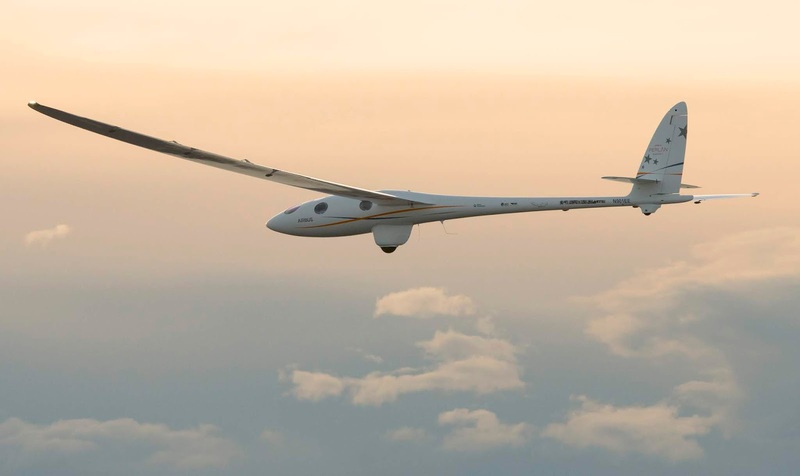 The Sun Flyer family of aircraft aim to be the first FAA-certified, U.S.-sponsored, practical, all-electric airplanes to serve the flight training and general aviation markets. Aircraft features include enhanced speed and altitude performance with extremely low ops-costs, low aircraft unit cost, low noise and the effective elimination of CO2 exhaust pollutants. Electric energy, or “fuel,” cost for Sun Flyer is multiples-lower compared to the per-hour flight cost for conventional piston-engine leaded aviation gasoline. 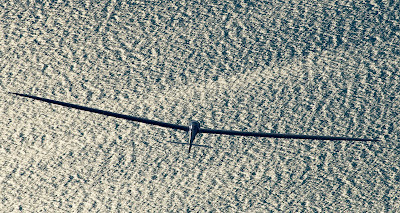 Bye Aerospace is developing the Sun Flyer family of aircraft in addition to a family of advanced, high-altitude, long-endurance solar-electric unmanned aerial vehicles called “StratoAirNet” and “Solesa.” The company was named the 2018 Small Business of the Year in the “small business” category by the Denver Business Journal. For more information, go to www.ByeAerospace.com. Aspen Flying Club unites a group of pilots and flight instructors with a large and diverse fleet of aircraft for flight training and recreational flying, all in a fun, friendly environment. Located at Centennial Airport (KAPA), south of Denver, Aspen Flying Club is part of the American Flight Schools family. 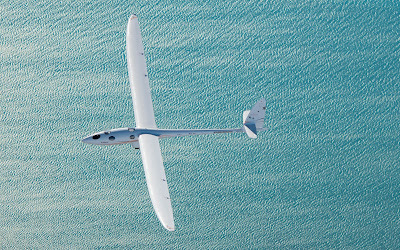 For more information, go to www.AspenFlyingClub.com. AKRON, Ohio, Aug. 14, 2018 – The Goodyear Tire & Rubber Company announced today that Shaesta Waiz, the youngest woman to fly solo around the world in a single-engine aircraft, will christen Wingfoot Three, the newest addition to its fleet of world-famous Goodyear blimps. The ceremony will be held on Aug. 30 at 2 p.m. ET at Goodyear's Wingfoot Lake Hangar which is celebrating its 100th anniversary this year. "We're delighted to have Shaesta serve as the christener of our newest blimp," said Goodyear Chairman, Chief Executive Officer and President Richard J. Kramer. "Shaesta has an inspiring life story and turned her passion for flying into a record-setting solo journey around the world. She serves as a role model to young women to follow their dreams by pursuing STEM education and careers in aviation"
Waiz traveled more than 24,000 nautical miles on her record-breaking flight between May 13 – Oct. 4, 2017. Along the way, the 30-year-old Afghan-American pilot visited 22 countries and promoted STEM education at outreach events for more than 3,000 girls and boys. Waiz continues advocating for STEM education through her nonprofit organization, Dreams Soar, Inc.
"It is truly an honor to be selected by Goodyear to christen Wingfoot Three. I know Amelia Earhart will be with us on this special day, just as her spirit was with me during the Pacific Ocean crossing from Hawaii to California," said Waiz. Goodyear has recognized noteworthy women for nearly a century through the tradition of christening Goodyear blimps. Celebrated aviator Amelia Earhart (1929), astronaut Dr. Sally Ride (2000) and "Good Morning America" host Robin Roberts (2014) are among those who have christened a Goodyear blimp. Akron native Savannah James served as the most recent christener of Wingfoot Two in 2016. ARLINGTON, Va., Aug. 16, 2018 /PRNewswire/ -- Boeing [NYSE: BA] will acquire Millennium Space Systems, a provider of agile, flight-proven small-satellite solutions, under an acquisition agreement that will expand Boeing's satellite and space portfolio, talent and capabilities. last Corner we outlined several challenges facing a supersonic airliner or business jet. Specialists of the Zhukovsky Central AeroHydrodynamic Institute (TsAGI) held the first stage of aerodynamic tests of the VRT500 model, a light multi-purpose helicopter with coaxial rotors. GREENSBORO, N.C. – August 7th, 2018 – Honda Aircraft Company announced today that it has begun deliveries of its new advanced aircraft, the HondaJet Elite, at its headquarters in Greensboro, NC. Deliveries of the HondaJet Elite begin as the HondaJet marks the first half of 2018 as the most delivered aircraft in its class, based on information provided by the General Aviation Manufacturers Association (GAMA). The HondaJet Elite was designed to provide customers with the best experience by utilizing Honda Aircraft's pioneering advanced technologies coupled with the best performance and comfort enhancements. For more information about the HondaJet Elite, visit www.HondaJetElite.com. Two Pilots Returned To Whistler Municipal Airport In Vancouver, Canada August 5 Ninety-seven days from their date of departure, pilots Ruben Dias of Whistler, Vancouver Canada and his co-pilot Mischa Gelb landed their Robinson R66 helicopter back at Whistler Municipal Airport completing the world's fastest antipode circumnavigation in a helicopter. ARLINGTON, Va. (AFNS) -- Today the Air Force has awarded a contract not to exceed $480,000,000 to Lockheed Martin Missiles & Fire Control to begin designing a second hypersonic weapon prototype. This contract will provide the critical design review, test and production readiness support for the Air-Launched Rapid Response Weapon (ARRW). "We are going to go fast and leverage the best technology available to get hypersonic capability to the warfighter as soon as possible," said Secretary of the Air Force Heather A. Wilson. The ARRW effort is one of two hypersonic weapon prototyping efforts being pursued by the Air Force to accelerate hypersonic research and development. 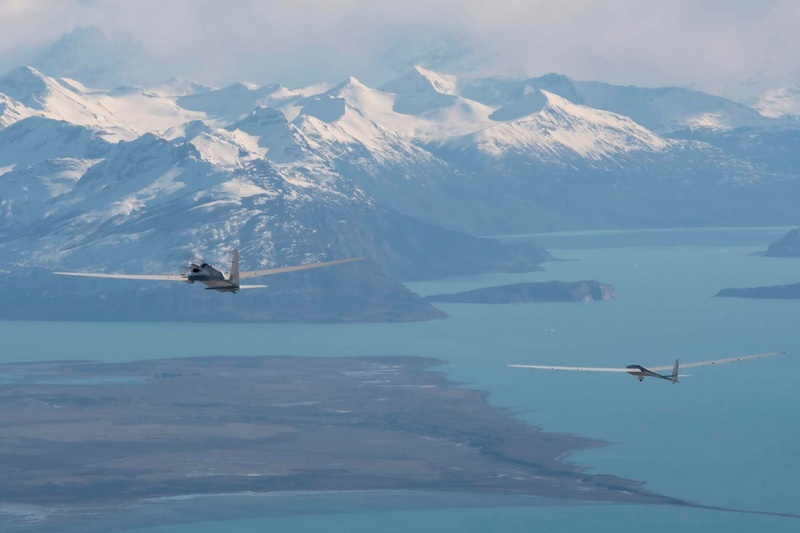 The Air Force is using rapid prototyping authorized by Section 804 of the FY16 National Defense Authorization Act to explore the art-of-the-possible and to advance these technologies to a capability in 2021. Leaders from the Department of Defense, Missile Defense Agency, Air Force, Navy and Army signed a memorandum of agreement June 28 to work cooperatively on hypersonic boost glide technology development. "The Joint Team requires the right mix of agile capabilities to compete, deter and win across the spectrum of competition and conflict," said Air Force Chief of Staff Gen. David L. Goldfein. "We must push the boundaries of technology and own the high ground in this era of great power competition and beyond." The Air Force's other hypersonic weapon rapid prototyping effort is called the Hypersonic Conventional Strike Weapon (HCSW). The ARRW and HCSW efforts are developing unique capabilities for the warfighter and each has different technical approaches. The ARRW effort is "pushing the art-of-the-possible" by leveraging the technical base established by the Air Force/DARPA partnership. The HCSW effort is using mature technologies that have not been integrated for an air-launched delivery system. The Armament Directorate of the Air Force Life Cycle Management Center is providing program management of these prototyping efforts. The interest in civil supersonic flight has been revived in the last years. Aerion Supersonic is well advanced with its AS2 supersonic business jet and there are several projects looking at restarting supersonic airliner service, 15 years after the Concorde stopped flying. Icing is one of the most dangerous environmental effects for aircraft. It reduces the aircraft lift and the critical angle of attack, and increases its weight and drag. In addition, icing interferes with controllers, impairs visibility, and adversely affect the engines. The ice growth on aircraft lift surfaces occurs mainly during takeoff, landing and “waiting” mode, that is, at low altitudes when the air contains a large quantity of supercooled droplets. Deicing is an important task to improve flight safety. The optimal deicing protection level of the aircraft lift surfaces must be chosen at the initial design stage. At a later stage it will help to avoid significant layout changes, power plant increase and energy loss. Specialists of the Zhukovsky Central AeroHydrodynamic Institute (TsAGI) conducted anti-icing research for light convertible aircraft. Experiments were held in TsAGI’s small speed wind tunnel. The program tested a model with simulated ice on the wing and empennage, which could form in the “waiting” mode. The simulator configuration was corrected against the background of the new aircraft layout modification. It was revealed that the investigated forms of ice did not affect the effectiveness of the vertical tail and rudder. In this regard, the plane does not need fin surface deicing. At the next stage, the scientists plan to continue computation and experimental research of icing to form the requirements for designing the most effective deicing system for wing and horizontal empennage.